Quality Victorian Carved Beech Pot Cupboard - Side or lamp table. All original & in very good condition. Lovely white marble top and white marble floor inside the cupboard. 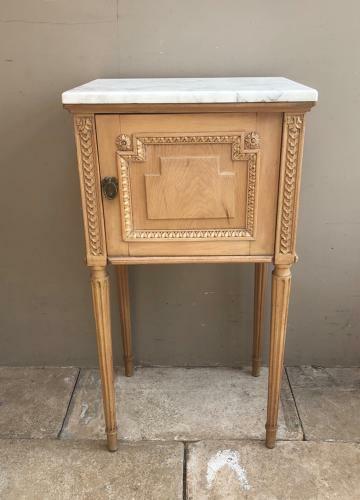 Intricate carving and reeded legs. Panelled sides & back. The marble top is fixed.